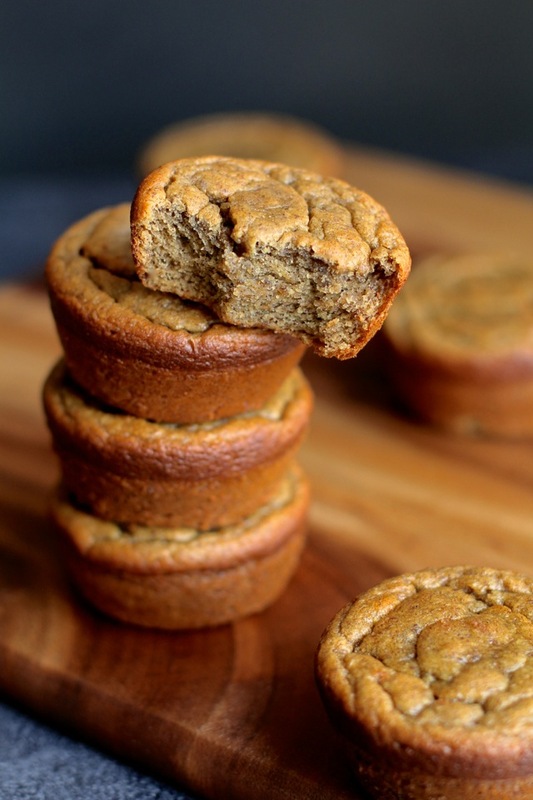 * Feel free to use whatever nut butter you have on hand, or use a soy nut butter to make these nut free. Try and use a creamy store-bought nut butter, though, as the oils in the natural kind could affect the texture. 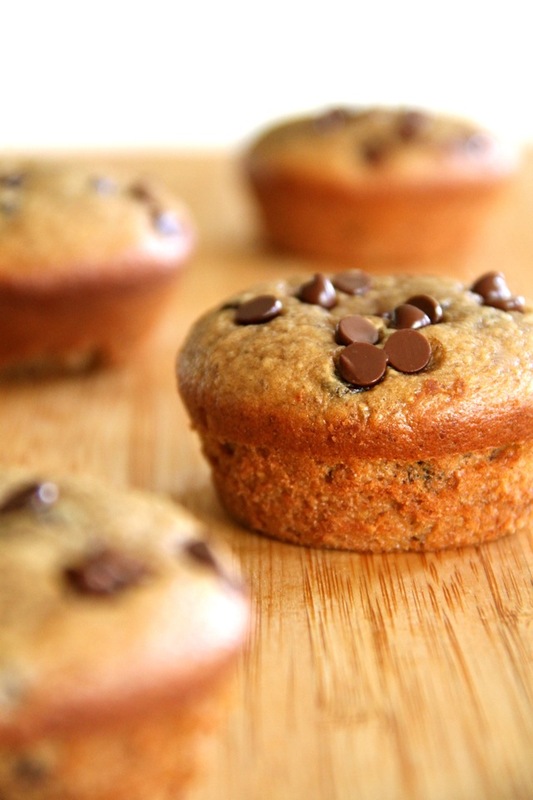 ** Replace these with dark chocolate chips to make this recipe refined sugar-free. 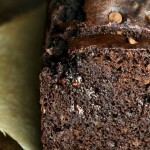 Looking for more flourless baked goodies? Try one of these delicious recipes! Have you ever made flourless cookies before? « . thinking out loud #92 . Amazing! So few ingredients! I will HAVE to try them! I am all about “jumbo-sized cookie(s) with a slightly crisp exterior” and “a soft and chewy interior” that release their sweet mapley almond flavor in my mouth!!! Hope you have a wonderful weekend lovely lady! While flour always seems to add that “extra oomph” when it comes to cookies/baked goods in general, I’m a fan of flourless options simply because they typically involve less ingredients and time <—#lazy. I will definitely give these a try! I love cookies/breads with almond butter in them! They get so chewy and delicious! I am so convinced – 5 ingredients and super quick? I am in!! It is amazing you can make cookies like this with no flour – everyone should do it! Right?! I was pretty shocked too! It’s amazing how many delicious recipes you can come up with when you just start experimenting. I make flourless peanut butter cookies a lot and they are awesome. I would never make a peanut butter cookie ever again with flour. They don’t need it. Yes to flourless cookies! I’ve made them several times and everyone always loves them. You would never in a million years be able to tell that there isn’t flour in them. They’re so delicious, and these gems like fabulous! I love the white chocolate/butterscotch chip combo! Annnnd now I need a cookie. I just added maple almond butter to my grocery list for the weekend! These look so good. I will be making these this weekend. Every time you’ve posted a pic of these the last few days, I’ve drooled a little. Maple is my jam. Wow! 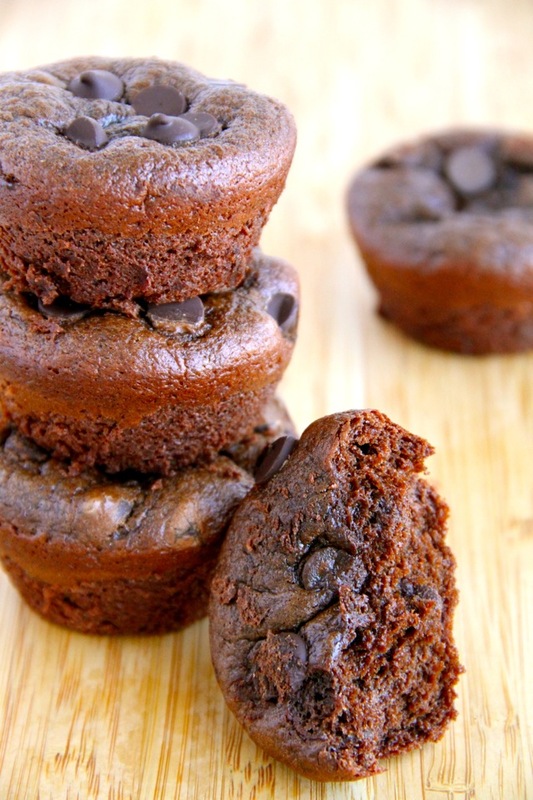 These have like no ingredients – in the best way possible!! I can’t wait to try them. 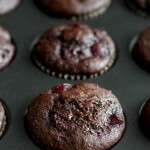 No convincing needed, friend….I am making these for sure!! I just made a batch of PB cookie dough balls so these will be happening as soon as those are over! I better start making some almond butter in the meanwhile. :-)! Any idea if these freeze well? The ingredient list is so short! And yet they’re so perfect and beautiful. You are officially the master of almond butter. Can I use my potentially salmonella tainted almond butter? Lol. Just kidding. Kind of. I’ve made flourless cookies before! They take a lot more work for me to get the texture right though. Ok… Sadly I don’t think there are any vegan flourless cookie recipes out there that aren’t just dates/nuts. 🙁 These look really yummy, even so! You and I must seriously be on the same wave length. It’s starting to give me déjà vu. I made 4 ingredient cookies with almonds last week. Posting them next week though and of course my pictures will never be as good as yours. I’m amazed by how these look! I love me some flour free recipes, and this is legit. 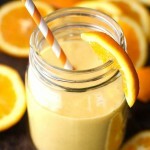 I may attempt this with a flax or chia egg and see what happens! They look amazing, well done! 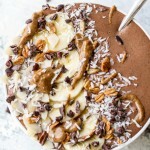 Let me know if you try it with a flax or chia egg! That would be amazing if it worked. YUMM! Although I’ve told you my not-so-much desire to eat butterscotch or white chips, these look SO good. I kind of want to try them. Like right meow. I imagine these would be really good with Justin’s maple almond butter, too. Although your version is much cheaper (woof), I am far too lazy to clean my food processor. Le sigh. Haha! I think I might have just died a little. Butterscotch AND white chocolate chips? And only 5 ingredients? Lord… give me these now…. My favorite flourless cookie is the old 1 c PB + 1 c sugar + 1 egg + chocolate chips. When I was a dirt-poor student it was my go-to recipe for gifts, potlucks, and making food for my now-husband! mmm mmm mmmm. You have outdone yourself this time lady! These look phenomenal! I love how simple this ingredient list is! And wow – they sure do look yummy! These cookies look seriously so amazing I may have just tried to grab one through my computer screen. Ok… these look simply amaaaaazing!! I love me some butterscotch! These look so awesome! To be quite honest, flourless baking scares me. My head just can’t fathom that baking is possible WITHOUT flour. Obviously, you are a magician. Or, I’ll just have to trust you and try one of your flourless recipes. Haha. Definitely give it a shot! I was skeptical at first too, but it’s pretty amazing what you can do without flour! Yup, I need them. Your description of them is unreal 😯 . MUST EAT. The baby started kicking around when I read this recipe! I think I better make them! 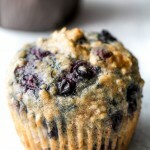 Gotta make these with my next batch of almond butter!! I think I’ll go with dark chocolate chips and maybe nuts. Um, can I say YUM? My tastebuds have been drooling this whole week at the preview pics, and your description definitely hasn’t helped! (Not that I mind that much…haha). Great recipe and I definitely can’t wait to try! Totally convinced! You had me at chewy!! These look soooo soft..I don’t trust myself around these cookies. Your description of these cookies is hilarious. You make them sound so freakin’ good I want to jump into my laptop screen right now. Flourless baking is kinda incredible. Every time I bake something without flour, it amazes me how well it works! Love a good flourless recipe and this looks absolutely delicious! Whaaat?! Whaat?!!! These need to be made, right now. I’m so relieved you shared the recipe!! I read your WIAW and clicked on the link for the almond butter hoping it was the recipe >_< Completely Illogical, but anyways! Thank-you for sharing! I think I might make these to bring with me to move back to college tomorrow 😀 5 Ladies to share with… and a bunch of other people… it could work… hm. Just wow. <3 No words, just drool and some major motivation to make your almond butter and buy butterscotch chips! Oh. my. goodness. These cookies look pretty amazing!! You definitely have me drooling… & pinning these for later! I love baking with flour and baking without flour and love making cookies liek that too because it legit cuts the time in half. PS They only JUST brought out butterscotch chips to Australia. P.P.S. : They have yet to bring butterscotch chips to Germany. Or white chocolate chips. Lame. I love the mixture of white chocolate and butterscotch chips. In fact, I think I need to raid my white chocolate chip stash now. I’ve made flourless brownies before and they were amazeballs. I have no doubt flourless cookies would be great too! I still haven’t perfected the almond butter base cookie yet… but I’m willing to keep trying with these. I wish Americans more appreciated the maple flavor!! And aren’t butterscotch chips dangerous? I open bag and they’re gone before they make it in any baked goods. WOW WOW WOW! I need those in my belly with a big glass of cold milk…. These look so yummy, love the flavours. I host Sweet and Savoury Sunday and would love for you to stop by and share this and other recipes with us. Have a great day! yummy! loveeeee anything with butterscotch chips!! such a unique flavor that i just crave sometimes. 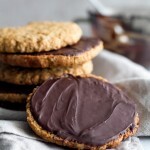 These look soo yummy – chewy cookies are my weakness! I tried these and used honey instead of maple. As a result the batter was a little gooeyer & I ended up just spooning it onto the baking paper. They’re a little thinner and more spread than you’d bit still soft in the centre & delicious. I just made a batch of these and I noticed two things — your directions say add salt but there is no salt measurement (I winged it) and second, what’s a good way to know for sure if they’re done? I’d never baked flourless before. Oops. Sorry about that, CZ — I didn’t notice the omission. Just a pinch of salt is good, so winging it was probably fine. And you know they’re done when the edges begin to set and turn golden brown. I usually like to undercook my cookies a bit so that they’re softer and chewier, so I watch them at the lower end of the cook time to catch them as soon as they start to turn colour. I really like the combination of the butterscotch and white chocolate chips. The colors of the two really balance each other out.